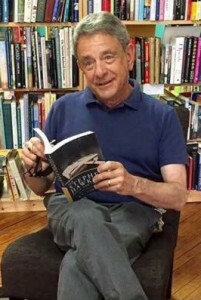 Award-winning author R.C. Goodwin graduated from Yale with a degree in history, attended medical school in Dublin, and completed an internship and psychiatric residency in Connecticut. He has worked in private practice, jails and prisons, a facility for the criminally insane, and the counseling center at a large university. To date he has had seven short stories publishes; three have won literary competitions: the Dana Prize for Short Fiction (“The Stephen Hawking Death Row Fan Club”), the Whiskey Island Short Story Competition (“Hello. My Name is Peter.”), and The Writer Short Story Contest (“Letters from the Hospice,” printed online). The Stephen Hawking Death Row Fan Club, a collection of six short stories and a novella, is his debut book. His second book, Model Child – a powerful psychological thriller, was released on March 20, 2018 by the Side Street Press, Chicago, IL.